Ever since the Aristotelian conception of happiness as activity of the soul to modern perspectives on the ever-active biological organism, the doing part of life has been considered essential for survival and wellbeing. Humans must act in order to live—and live well. The basic assumption of activity theories of wellbeing is that doing things in certain ways and for particular reasons constitute a kind of goodness in itself. We can act in ways that are good for us, and we can act in ways that are bad for us. In the current chapter, philosophical, economical and psychological theories are presented and critically analyzed in order to clarify how activities can be regarded as a crucial ingredient of wellbeing. Possible mechanisms accounting for the association between activities and the concept of goodness are introduced, and theoretical disputes and empirical controversies between them are discussed. It was Ed Diener, in his now classic 1984 article, who introduced the category of activity theories to the taxonomy of wellbeing theories. In Diener’s scheme, the view that happiness is a “by-product” of being active was named as activity theory and contrasted with telic theories of wellbeing. To illustrate the concept, Diener used the example of ascending a mountain: the climbing itself might bring greater happiness than reaching the summit. Telic theories are, according to the Diener classification, not able to explain this kind of goodness, since they are restricted to account only for the pleasure of accomplishing a goal—like reaching the peak of a mountain. Activity theories on the other hand, are able to explain the pre-goal element of wellbeing, and in Diener’s article, Aristotle’s function argument and Csikszentmihalyi’s writings on flow experiences were presented as examples of activity theories of a good life. Wellbeing1 typically refers to a life that goes well2, hence activity theories must clarify what it is that can go well for a person during an activity. The critical question is how to categorize something as good even if it does not include goal accomplishment or need fulfilled. The present chapter reviews some of the theories aiming to explain this puzzle and it starts by investigating the notion of activity itself. It proceeds by presenting some historical and philosophical ideas on the issue and moves on to examine the contribution from welfare economics. The final part of the text critically discusses four psychologically activity theories. To live means to be active and it is activity—not passivity— that is the modus operandi of our lives (Mayr, 1982; Pross, 2016). In stark contrast to what some philosophers have speculated, like Jean-Jacques Rousseau who argued that indolence was the natural condition of human life (see Ciulla, 2000), we must continuously be active in order to keep our biological and psychological structures organized. The importance of being active was recognized by the psychology pioneers, not at least among those with a biological orientation (e.g., Allport, 1961; Angyal, 1941; deCharms, 1968; Deci & Ryan, 1985; Elkind, 1971; Goldstein, 1939; Hebb, 1955; Henle, 1956; Loevinger, 1976; Rogers, 1963; von Bertalanffy, 1952/2014; White, 1959; Woodworth, 1918). The term organismic was introduced to explain how all living systems are organized as parts of a unified whole, and how this holistic system seems to be continuously active and self-regulated toward a two-folded goal of both preserving and expanding their organic structure. Giants like Piaget and Vygotsky considered activity to be essential not only for basic life regulation, but for all psychological actions, including the formation of cognitive structures (see Fischer & Bidell, 2006). No wonder then, that a scholar such as Brandstätter (2006) argues that action is the center of what people are and how they develop. The significance of activity for human goodness was discussed long before the birth of scientific psychology, and, not surprisingly, Aristotle had an articulated opinion about it. Activities are important to Aristotle’s theory on wellbeing, but he does not start his argument with that concept. He begins with the notion of goals. Aristotle paid close attention to the world around him and this led him to believe that all creatures were driven by a goal. All forms of life, Aristotle realized, have a purposeful character. Based on this insight he proposed the idea of a ‘summum bonum’ or ultimate goal. All things, living and non-living, searched towards this goal. The Greek philosopher was wrong, however, in including non-living things in this telic principle, but as far as biological organisms goes, his ideas about their goal-oriented nature was spot on. Modern biologists no longer refer to it as telos, though, they call it ‘teleonomy’ (Pross, 2016). Since Aristotle’s thinking is essentially telic, Diener’s categorization of it as an activity theory in opposition to the telic theories might appear as somewhat misleading. However, the important ‘function argument’ in Aristotelian theory articulates a close association between goals and activities (e.g., Korsgaard, 2008; Whiting, 1988). The theory is in a sense both a telic and an activity theory and one could say with MacIntyre (2007) that it is “only because human beings have an end towards which they are directed by reason of their specific nature, that practices, traditions, and the like are able to function as they do.” Despite its telic grounding, Aristotelian happiness is often defined with reference to an activity, more specifically the kind of activity that takes place “in the rational part of the soul performed well, which is to say, in accordance with virtue.” (Korsgaard, 2008, p. 129). Aristotle conceived of virtues as “dispositions not only to act in particular ways, but also to feel in particular ways.” (MacIntyre, 2007, p. 149). MacIntyre has further interpreted Aristotelian happiness as a “state of being well and doing well in being well” (MacIntyre, 2007, p. 148). He thus indicate that the doing well part refers to the practice of actively pursuing the ultimate human goal, which, according to Aristotle, is one and the same for all of us, as dictated by our human nature (e.g., Besser, 2016). Since we cannot escape our nature, including its final goal, only proper activities that direct us toward the true goal will make us flourish. This conceptualization of a unitary human nature diverges fundamentally from scientific perspectives, which—since Darwin—typically focus on natural differences within each species. The idea of natural variations makes it likely that many different kinds of goals and activities can do the trick of making us happy, depending on the individual’s dispositions and environmental peculiarities. After all, Aristotle knew nothing about evolution and it is understandable that he stumbled on the idea of a unitary goal/unitary activity approach to happiness. A critical hand might also be astounded by Aristotle proposal that the only life truly worth living is that of a philosopher, a statement that, according to Thin (2012) sounds “embarrassingly smug.” More updated on how and why variations is a natural part of human lives, Lyubomirsky and Layous’ writings on the “person-activity fit” suggest that a diversity of goals and activities is exactly what we need to be happy. What is important, is the match between one’s dispositions (and these vary across individuals) one the one hand, and the goals held and activities performed on the other. A huge pool of goals and activities are equally potent as sources of happiness, given that the they fit our more or less idiosyncratic dispositions (Lyubomirsky & Layous, 2013). Variations of the perspective presented by Lyubomirsky are mainstream in modern psychology, and can be found in almost every goal-oriented approach in the discipline (e.g., Cantor & Sanderson, 1999; Dweck, 2000; Emmons, 1999; Klinger, 1975; Little, 2016; Sansone & Harackiewicz, 1996; Sheldon, 2014). A final point about the Aristotelian theory of happiness worth some pondering concerns the meaning of the phrase “by-product.” Diener used it to describe activity theories of wellbeing, and other scholars use it in order to explain how an activity can create a feeling state (e.g., Ryan & Martela, 2016). Aristotle seems to have had at least two different opinions on the issue, and experts on interpreting his writings, such as Nussbaum (e.g., Nussbaum, 2008), argue that in Book VII and Book X of the Nicomachean Ethics Aristotle diverge. In Book VII Aristotle identified pleasure with unimpeded activity. As such, pleasure is not a “by-product” of activities, in the sense of a by-product being “a result of making something else, or something unexpected that happens as a result of something: Buttermilk is a by-product of making butter. Illness is one of the by-products of overcrowded housing” (Cambridge English Dictionary Online; https://dictionary.cambridge.org/us/dictionary/english/by-product). In Book X of the Nicomachean Ethics, Aristotle speaks of pleasure a bit differently, as something that “supervenes on it, like red check in the youth” (Nussbaum, 2008, p. S84). According to Nussbaum, pleasure in this second meaning is not identified as unimpeded activity, but as a result of such activities. Nevertheless, pleasure as laid out in Book X is “so closely linked to the relevant activities that it cannot be pursued on its own, any more than bloom can be adequately cultivated by cosmetics. To get that bloom you have to pursue health.” (Nussbaum, 2008, p. S85). Pleasures such perceived are not simply external rewards, but “achievements and satisfactions available only in the activities of the practice” (Boyle, 1987). Similarly, Katz (2009) has argued that Aristotle held a “Perfection in functioning view”, which, in the context of activity theories, means that pleasure arises from being active, from the activity itself. Finally, Lazarus (1991) has pointed out that Aristotelian happiness is “not goal attainment that generated pleasure but the normal exercise of any function.” (p. 92). Irrespective of the interpretations offered on Aristotle's view on the matter, modern emotion theory clearly consider feelings as an integrated part of, and not a by-product of activities. In a later section, the Functional wellbeing approach (FWB) will be offered as a possible explanation as to why activities generates feelings by and in themselves. The Aristotelian idea that humans, by nature, are genuinely social and that our inborn moral dispositions must be actively cultivated in order to develop good societies and lead happy lives was more or less abandoned during the Enlightenment (MacIntyre, 2007). Instead, deontology (Kant), utilitarianism/consequentialism (Bentham) and contractism (Hobbes) came to dominate the ethical debates. Following these views, no connection between (moral) activities and the good life was proposed. Rather, the idea of goodness that started out as utilitarianism and ended up as economic welfarism discarded the distinction between goods internal to and goods external to an activity. Wellbeing, what many scholars hold as the essence of economic welfare (e.g., Hausman, McPherson, & Satz, 2016; Jordan, 2008; Moore & Crisp, 1996; Ringen, 1995; Sumner, 1996), became identical with money, and money was most efficiently generated by the interaction between supply and demand as regulated by competitive markets. The relevance of human activity for wellbeing was reduced to the behavior involved in producing a supply and breeding demands. The logic goes something like this. Since people in a market act on a voluntary basis3, prices will adjust until supply equals demand (the state of ‘market equilibrium’). “The resulting set of prices makes everyone as well-off as possible. In other words, markets produce the best of all possible worlds” (Kwak, 2017, Chapter 2). Interestingly, the early economists had a much more sophisticated view on human wellbeing that what we are left with in the extreme reductionism of modern versions of the discipline. Adam Smith, for example, was concerned with the nature on human activities, although he, like many of his contemporaries, held a generally negative view of it. To be active was to Smith a hostile necessity. “It is in the inherent interest of every man to live as much at his ease as he can; and if his emoluments are to be precisely the same whether he does or does not perform some very laborious duty, to perform it in as careless and slovenly a manner that authority will permit” (Adam Smith, 1776, cited in Schwartz, 2015). Some years later, Jeremy Bentham talked about “love of labour is a contradiction in terms” (cited in Skidelsky & Skidelsky, 2013, Chapter 1). What is more, Bentham considered the activities involved in paid employment to be so aversive—and poor people to be so lazy and unwilling to take part in it—that in order to motivate them to work “the paupers should be kept in ‘wholesome horror’” (Dean, 2008, p. 61). In contrast to economic welfarism, even a free market apologist like Adam Smith agreed that when it comes to welfare, the negativity of hard work had to be subtracted from the monetary surplus generated by the balancing forces of supply and demand. To Smith, activities like work simply had “negative utility.” Not only did he realize that the division of labor meant that the work reduced welfare because it made the life of the workers more boring, Smith also developed a pessimistic outlook on the prospect of capitalism as a provider of welfare in the long run. He believed that the division of work among the assembly line workers eventually would end in material decline and moral decay (Heilbroner, 1973). A person who loses the opportunity to practice the skills of a trade or a craft, becomes, in Smith’s own words “as stupid and ignorant as it is possible for a human creature to be” (cited in Schwartz, 2015, Chapter 4). A look at his famous schedule for manufacturing pins illustrates how the division of labor might be good for business, but bad for wellbeing. In order to produce pins efficiently, the task should be divided into more limited tasks, such as drawing the wire, straightening the wire, pointing, cutting heads etc. And not only should the initial craftsmanship involved in the making be chopped up into meaningless chunks of activities, the different part of the process should be delegated to the cheapest possible employees. Women were paid less than males, and girls less than boys. Such a scheme makes the surplus go up, but wellbeing, Smith feared, will go down. Based, in part, on these and similar observations, Marx developed his view on how capitalism systemically prevents most people from having the requirements of a ‘good life’. Marx, who held a PhD in the philosophy of Democritus and Epicurus (see McMahon, 2006) was familiar with the Aristotelian concept of eudaimonia and when Marx wrote about good lives, it was, according to Miller (1992), in Aristotelian terms. Thus, Marx opposed utilitarianism and accused Bentham for failing to discriminate among the different versions of ‘human nature’ (R. Miller, 1992, p. 280). As an alternative, Marx was concerned with what he referred to as “species being”, his view on human nature and the essence of humanity (Dean, 2016). Being active is an important element of this nature, in fact Marx considered activities to be definitive of human essence and self-realization. A slogan-like summary of this idea is known from his well-known wish "to do one thing today and another tomorrow, to hunt in the morning, fish in the afternoon, rear cattle in the evening, criticize after dinner, just as I have a mind, without becoming hunter, fisherman, cowherd, or critic” (cited in Hurka, 1987, p. 734). The consequences of not letting people do “one thing today and another tomorrow” had more severe consequences in the nineteenth century than it has today. Nevertheless, ignoring the importance of varied and meaningful activities may still have devastating consequences to many people on the Globe. Not comparable to the exploitation of child workers, though, a recent example from Norway may illuminate the fundamental problem of ignoring the value of being active. A small group of handicapped people has for years been employed to maintain parks in a city at the west coast. The crew show admirable commitment to their job and being thus active helps structuring the lives and secure enjoyment and meaning for these individuals. The chief municipal executive of this city was, however, dissatisfied with the situation: he figured that the world would be a better placed if the handicapped group was fired and replaced by professional gardeners. Expectedly, this arrangement would create a larger monetary surplus. To the chief municipal executive, as to other believers of economic welfarism, what people do, and how they do it, are irrelevant; economic surplus is the only thing that matters. Fortunately, the City Council voted the proposal down (Lexberg & Frafjord, 2017). The shortcomings of economic welfarism is a reminder, not only about the perils of shrinking the complexity of human lives down to an imagined balance of demands and supplies, but also about the dangers of doing science without theoretical guidance. A proper understanding of what it means for humans to lead good lives can never be established without solid knowledge about what human being are like. In order to live, humans must be active. In order to live well, they must be active in the right way. An excellent illustration of this point comes from Sennett (2008) who, from a sociological and philosophical perspective, has contributed a comprehensive analysis of the activities involved in craftsmanship. Craftsmanship reflects a kind of work engagement characterized as a “desire to do a job well for its own sake.” Working towards excellence under the right circumstances, Sennett tells us, creates a deep satisfaction. Not only with regard to what one is doing and its material products, but also for the person’s role as a citizen. In a society of functioning guilds and proper craftsmanship, “Learning to work well enables people to govern themselves and so become good citizens” (Sennett, 2008, p. 268). The nourishment of a fine rhythm between problem solving and problem finding is a crucial element of the experience. Since skill development is an enduring process that involves a constant refinement of the craftsman’s ability to perceiving crucial details in nuanced ways, solving one problem often points to another. Such a dynamic generates a constant improvement in individual skills and in the knowledge commonly held by a society of craftsmen. But this openness to improvement is, according to Sennett, antagonistic to much of the modern work life, which is enforced upon a growing number of people by the pressures of an impersonal market and an over-bureaucratic state. In contrast to the marked way of thinking, with its focus on getting things done, craftsmanship operates in line with the ideal of getting it right or making it beautiful. Managing complex activities require task-specific rhythms, and sometimes these are slow and repetitive. Acting slowly and repetitively will in turn stimulate professional reflection and self-criticism. These are critical elements of skill development, and if the internally driven struggle for excellence is taken away by a top-down driven management regime, the opportunities for skill-development and professional reflection disappears. This essence of craftsmanship disappears if one push for quick results. To a psychologist, craftsmanship sounds a bit like intrinsic motivation. For instance, a sense of craft has been described as becoming “engaged in the work in and for itself,” and craftsmanship is supposed to occur when “the satisfactions of working are their own reward” (Sennett, 2008, p. 27). These characteristics resembles those typically listed to describe intrinsic motivation, as in Berlyne’s (1960) definition of it as “motivation in which the rewards were inherent in the activity,” or in Ryan and Deci’s terminology as “behavior done for its inherent satisfactions” (2008, p. 655). Moreover, since the term was coined by Harlow (1950), the argument that intrinsically motivated behavior prompts learning and skill-development has been an integrated part of the concept.4 In other words, both craftsmanship and intrinsic motivation have been presented as prototypical examples of the Aristotelian ideal about “being well and doing well in being well.” Hence, the concept of intrinsic motivation aspires to contribute the best psychological account of the relationship between activities and wellbeing. From a variety of psychological theories with relevance for intrinsic motivation, four will be presented in this section (for more comprehensive reviews, see Deci, 1975; Deci, Koestner, & Ryan, 1999; Eccles & Wigfield, 2002; Eckblad, 1981; Eisenberger, Pierce, & Cameron, 1999; Gerhart & Fang, 2015; Lepper, Henderlong, & Gingras, 1999; Oudeyer & Kaplan, 2007; Renninger & Hidi, 2016; Ryan, 2012; Ryan & Deci, 2017). The concept of internal motivation has clear overlaps with the idea of craftsmanship. For instance, it shares with Sennett the idea that a well performed activity has a structure that associates it with the concept of good. Although it is presented in slight opposition to the mainstream work on intrinsic motivation, the theory of internal motivation is an activity theory, and at an overarching level, it might even be permissible to categorize at as a kind of an intrinsic motivation theory. The concept of internal motivation has been develop by Schwartz and colleagues, in the spirit of Aristotelian eudaimonism (e.g., Schwartz, 2015; Schwartz & Wrzesniewski, 2016). Its approach to wellbeing is based in the pursuit of excellent activities, and the authors argue that the traditional perspective on intrinsic motivation is too narrow to properly explain the association between activities and wellbeing. To improve this state of affairs, the theory of internal motivation appeals to the Aristotelian concept of telos, and to MacIntyre’s (2007) concept of a practice. The theory argues that the Aristotelian ideal of “doing the right thing, at the right time, in the right way, for the right reasons” provides a better framework for analyzing good lives, than does the mainstream idea of intrinsic motivation. The latter is restricted to activities for which a pleasant feeling is the very purpose of the activity—the pleasant experience becomes an end in itself. In such a perspective, the important relationships between motives, actions and their consequences are overlooked. This neglect has serious consequences for the understanding of wellbeing. Here is a brief resume of what Schwartz and colleagues propose as an alternative. Telos specifies what counts as excellence in an activity. For instance, the telos of a builder is to produce excellent buildings and the telos of a doctor is to cure disease. The telos thus provides an activity with meaning and direction. The theory of internal motivation is also indebted to MacIntyre and his concept of practice. MacIntyre is a neo-Aristotelian who sticks with the idea that it is only because “human beings have an end towards which they are directed by reason of their specific nature, that practices, traditions, and the like are able to function as they do” (MacIntyre, 2007, Prologue). The concept of a practice is further defined as “any coherent and complex form of socially established cooperative human activity through which goods internal to that form of activity are realized in the course of trying to achieve those standards of excellence which are appropriate to, and partially definitive of, that form of activity, with the result that human powers to achieve excellence, and human conceptions of the ends and goods involved, are systematically extended” (MacIntyre, 2007, p. 175). Surely, this definition is quite a mouthful and it leaves the impression of a very abstract phenomenon. But the concept of practice comprises a very promising and rather concrete idea. It is that the proper value of an activity is only available through the achievements and satisfactions inherent to the practice that defines the framework of the activity. Without goods internal the activity itself, behaviors become little less than technical performances. In liberal democracies, for example, politics cannot be good unless it is motivated by a genuine wish for societal improvement. Without this aim, politics declines to empty rhetoric and cynical fights for power (Boyle, 1987). Another theory of intrinsic motivation, broadly defined, is flow theory (Csikszentmihalyi, 1975, 2014). It is the only example of a psychological activity theory of wellbeing mentioned in Diener’s 1984 review. According to the description given in that article, a person who is involved in an activity that demands intense concentration will typically experience a pleasurable feeling, a flow experience, as long as the person's skills and the challenge of the task are roughly equal. After more than 40 years of research, this conceptualization has not changed much and Diener’s description still reflects the standard understanding of a flow experience, although the term pleasurable is often replaced with the term enjoyment (e.g., Seligman & Csikszentmihalyi, 2000). There are some links between Aristotelian eudaimonism and flow theory. For instance, Csikszentmihalyi (1975) explains that flow represents optimal psychological states because when a flow state occurs, people both develop their potentials and feel great at the same time. This idea shares some conceptual territory with the “being well and doing well in being well” kind of eudaimonia defended by MacIntyre (2007). However, Csikszentmihalyi is a bit unclear when it comes to the feeling quality of a flow experience. Sometimes the feeling of flow is presented as intensely positive, like “pleasure, happiness, satisfaction, enjoyment” (Csikszentmihalyi, 1992, p. 24). In other contexts, flow is depictured as a state without any feelings at all: “Strictly speaking, during the experience people are not necessarily happy because they are too involved in the task to have the luxury to reflect on their subjective states. Being happy would be a distraction, an interruption of the flow. But afterward, when the experience is over, people report having been in as positive a state as it is possible to feel.” (Csikszentmihalyi, 1999, p. 825). The latter position indicates that the state of flow is thwarting rather than generating good feelings. Scholars have also questioned the assumption that flow experiences contribute to skill development. Detailed studies of learning in adults suggest that several of the criteria that are necessary for skills to develop are in conflict with the principles of flow (e.g., Ericsson & Charness, 1994). For instance, tedious repetitions and a constant and uncomfortable focus on the errors one makes are essential for skill development but devastating for flow. Studies that compare low performers with high performers show that the latter report fewer occasions of joyful experiences than the lower performers (Ericsson & Charness, 1994). Actually, Ericsson has declared the characteristics of flow to be inconsistent with the process involved in the acquisition of high-level skills (Ericsson, 1996, p. 25). A challenges-skills balance implies that a person is properly equipped to cope with the situation at hand—learning, in other words, is not necessary. Consequently, the model suggests that skill improvement only occurs when a person moves into the zone of boredom, and not really during flow. The boredom may, however, motivates a search for higher challenges (an upward move), in which case a flow experience is likely to occur. Note that this is a hedonic escape maneuver (avoiding a negative experience). Approaching flow from a challenging situation imposes avoidance motivation as well. Being in challenges-higher-than-skills position, which really is an opportunity to learn, creates anxiety in the flow model. It is this negative feeling that pushes the individual away from its current position, either as a downward rescue away from the learning opportunity, or rightwards towards skill development. Hence, skills may also be improved during states of anxiety, but once a balance between challenges and skills is established and flow kicks in, the development of skills stops. The only way to continue to learn, is by moving into a state of boredom. An alternative idea would be that flow results, not from an equilibrium between challenges and skills, but rather when challenges are somewhat higher than skills. Such an “imbalance model” of flow has been proposed by Løvoll and Vittersø (2014). What is gained by an imbalance model is first, the possibility of having a flow state that is motivated by the positive feelings inherent in the flow experience itself (this model assumes that people are actually experiencing intense feeling during the flow state, and not just afterwards). The imbalance model further assumes that it is the slightly higher level of challenges that motivates a person to keep working to overcome the difficulty at hand. When a person is in flow, this urge to cope with a challenge is experienced as something positive, something the person really wants to do. Second, when a challenge is above one’s skills, a learning opportunity is immediately available, because one’s skills must improve in order to cope with the situation. A last limitation in flow theory worth mentioning, relates to the nature of activities that are familiar and even repetitious. A series of theories point out that repetitions are not only important for skill development, but also that they sometimes create good feelings and opportunities for reflection (e.g., Eckblad, 1981; Montessori, 1948; Piaget, 1952; Sennett, 2008; Whitehouse, 2004). Csikszentmihalyi claims that “Unless people get better at what they are doing, they can't enjoy doing it any longer” (Csikszentmihalyi, 1992, p. 262). Several research paradigms have nevertheless convincingly documented how automatized and easy activities are the ones we enjoy most (Hill & Schneider, 2006; Winkielman, Schwarz, Fazendeiro, & Reber, 2003; Zajonc, 1980). For instance, when a grown-up is introduced to a new leisure activity, he or she will typically focus on skill-development for a rather short period of time. Normally, less than 50 hours will be devoted to this phase of effortful exercises. As soon as an acceptable level of proficiency has been established, the person will happily practice this activity without any skill improvement for the rest of his or her life. At this “everyday skills” level, performance has basically become automated and individuals will be satisfied by carrying out the activity with minimal effort, and without further learning (Ericsson, 1996). Most of the activities we enjoy are automatized and do not facilitate learning. Thus, the interesting question is not whether improvement is a prerequisite for doing something joyfully or not. We know activities can be joyful even if they don't lead to any skill improvements. We also know that skill development typically requires unpleasantly high levels of efforts. The promise of intrinsic motivation, however, is that given the right circumstances, adults can sometimes enter a state in which they both feel intensely positive and develop their skills at the same time. Two theories defending this view, although offering different explanations as to why it happens, will be presented next. A popular approach that meets the criteria for activity theories of wellbeing is the Self-determination theory (SDT; Deci & Ryan, 1985, 2000; Ryan & Martela, 2016), a wellbeing theory that at least partly draws on Aristotelian eudaimonism (Ryan, Curren, & Deci, 2013). An original idea in the SDT is that humans have an inherent tendency toward organismic growth, and that this growth is regulated by three psychological needs, known as competence, autonomy and relatedness. By organismic Deci and Ryan mean “a fundamental human trajectory toward vitality, integration, and health” (Deci & Ryan, 2000, p. 229), and a need is defined as a psychological entity that “specify the necessary conditions for psychological growth, integrity, and well-being” (Deci & Ryan, 2000, p. 227). The needs are not fulfilled physiologically, but phenomenologically. For example, in order to satisfy the need for competence, a person must feel competent. Similarly, feeling autonomy/relatedness is necessary and sufficient to satisfy the need for autonomy/relatedness (Deci & Ryan, 2000; Ryan & Deci, 2008). The theory further suggests that an individual who acts in certain ways toward certain goals will experience feelings of competence/autonomy/relatedness. However, these feelings are not themselves a part of the concept of wellbeing. They are causes of wellbeing. What count as wellbeing in the SDT is a different set of feelings, such as satisfaction/a fuller sense of satisfaction/happiness/happiness in the fullest sense/vitality/fulfillment/thriving/ wellness/integrity/wholeness, which is but a sample of the terms used to describe wellbeing in Ryan and Martela (2016). Although the SDT is inspired by Aristotle—Deci and Ryan argue that the principle elements of Aristotle’s view are modeled in SDT (Ryan et al., 2013)—there are some confusing discrepancies between Aristotelian ideas on wellbeing, and those proposed by the SDT. The next section discusses one of these discrepancies. In his search for a principal reasoning on the human good, Aristotle came up with the idea that arête, or excellent functioning, could provide a framework for the conceptualization of goodness. An important premise in his functioning argument is that if something functions in accordance with its natural telos, then we can call that functioning good. A sharp knife is a good knife, just as an eye that sees well is a good eye. On this basis it can be inferred that humans also can be categorized as good when they function excellently. Some parts of the writings of Deci, Ryan and their many collaborators are in agreement with this Aristotelian principle. For example, Ryan, Curran and Deci claim that “human potentialities whose fulfillment is essential to well-being and happiness—potentialities whose fulfillment constitutes (italics added) the good” (Ryan et al., 2013, p. 57). The authors continue: “the eudaimonist conception of well-being or flourishing rests on the proposition that what is most subjectively satisfying over the course of a life is activity that develops and expresses one’s most reflectively valued and well integrated human potentialities. According to this view, pleasure accompanies activities that fulfill human intellectual, social, and productive potentials in good and admirable ways, even though pleasure is not the aim of such activities.” (p. 58). Both phrases clearly explain that activities that fulfill human potentials constitutes wellbeing (“the good life”). Somewhat later in the same chapter, however, the authors seem to have changed their minds. Now they argue that eudaimonic activities are not really a part of wellbeing after all. Eudaimonia is just a precursor of wellbeing, an antecedent of the good life. “Central to our considerations is distinguishing between eudaimonia as a way of living and positive affect as a hedonic outcome.” (Ryan et al., 2013, p. 60). Optimal functioning is in other words not good in itself, it is just the cause of goodness. This split between functioning and wellbeing is even more articulated in a more recent chapter by Ryan and Martela: “We argue that eudaimonia should not be understood as referring to any kind of subjective experience or ‘richer feeling of happiness’ but is rather about a good and valued way of living that can produce happiness, vitality and wellness as its byproducts” (Ryan & Martela, 2016, the abstract). These authors also proclaim that “eudaimonia is rather a depiction of the kinds of pursuits and a manner of living that would most reliably give rise to (italics added) a life accompanied by a sense of wellness, vitality and thriving.” (p. 111). In contrast to Aristotelian eudaimonism—in which the most essential argument is that wellbeing is the endpoint or ultimate goal of all human activities—the SDT proposes that eudaimonia isn’t that endpoint at all. It is just a mean to reach the endpoint. The endpoint itself, i.e., wellbeing, is, according to the SDT, a broad set of positive feeling states. Another controversy in the SDT concerns the use psychological needs to account for intrinsically motivated behavior. The authors suggest that the concept of psychological needs is particularly useful when it comes to explain how the introduction of a reward, lack of control or secure attachment seem to undermine intrinsic motivation. However, there is a literature that goes against this position, on several grounds. For example, the category of intrinsically motivated behaviors is much broader than typically discussed by Deci and Ryan. Their focus was initially on relatively simple “free-choice” laboratory tasks or some kind of self-reports behavior. Over the years, other kinds of intrinsically motivated behaviors have been studies from the perspective of SDT (see Ryan & Deci, 2017, for an extended overview), but these activities are still considered as means towards the goal of satisfying a need, and not as an end in themselves. However, many of the most interesting intrinsically motivated behaviors are neither captured by a free-choice laboratory test, nor conducted in order to satisfy a need. Rather, such activities occur spontaneously, can last for long periods of time, and—importantly—they don’t seem to be regulated by any kind of need or drive. For instance, in a seminal analysis Koch (1956) insisted that when it comes to intrinsically motivated behavior, the concept of needs would maintain an artificial externality that never could explain the true mechanisms of intrinsic motivation. Similarly, White (1959) showed in his well-known text on effectance motivation that the concept of needs (at least in the sense of states of deficiency) cannot explain intrinsic motivation. White’s idea was that inherent feelings of competence came as a result of effective functioning itself, not from the satisfaction of a particular need. Put simply, if an activity is rewarding in and by itself, the concept of needs is redundant. Actually, needs seem to make the explanation of intrinsic motivation unnecessary complicated, it is as if a wedge has been driven in between activities and wellbeing. Rather than argue, as will be done below, that wellbeing is an integrated part of being active, the concept of need implies a series of complicating steps. First, only activities that are able to fulfill the psychological needs has the power to motivate people intrinsically. Second, the activity will not be intrinsically motivating by the mere presence of positive feelings such as pleasure, satisfaction, interest or curiosity. Actually, pleasant feelings can, according to the SDT, terminate an intrinsically motivated behavior (see Deci, 1975). Finally, the feelings of autonomy, competence, and connectedness are not signs of wellbeing in themselves; they are only triggering something that later on will be experienced as positive affect, fulfillment, life satisfaction, happiness, thriving, wellness, meaning, vitality, depth or any other of the many experiences that SDT holds as indicators of wellbeing. A simpler explanation of intrinsic motivation is offered in the Functional wellbeing approach to be presented next. The functional wellbeing approach (FWA; Vittersø, 2013a, 2013b; Vittersø, 2016a) is an activity theory of wellbeing in the sense that it proposes a set of mechanisms that identify activities with the state of being well. The approach assumes that wellbeing is best conceptualized as an integrated part of human psychology, particularly with regard to the adaptation and regulation of behavior. There are two major processes of adaptation in living organisms; the regulation of stability and the regulation of change. Accordingly, the FWA suggests that the wellbeing associated with these types of adaptation also come in two forms, referred to as hedonic and eudemonic wellbeing respectively. This structure is depicted in Figure 1. Felt pleasure and attitudinal pleasure have much in common, but they are also different enough to be represented as separate categories at the third level of a wellbeing taxonomy. Felt pleasure is sometimes referred to as being happy in your life, whereas attitudinal pleasure is referred to as being happy with your life (Vittersø, 2016b). In terms of (optimal) functioning, the major role of HWB is to regulate stability according to the general principles of homeostasis. Briefly, the principle suggests that biological, psychological and social states of disequilibrium will produce feelings of displeasure, which initiate behavior intended to reestablish equilibrium. When the homeostatic balance is regained, we feel pleased. Pleasure is in other words the signal that evolution has developed to communicate to our minds that equilibrium is reestablished and that we currently are well off. A similar mechanism works at the mental level for striving towards, and reaching goals. Hence, HWB covers communication about both need fulfillment and goal achievement. The fulfillment of needs and the accomplishment of goals are both indicating good functioning, thus high HWB reflects a state of well-functioning stability. The role of eudaimonic wellbeing (EWB) is to regulate change. All complex organisms must be altered in order to survive and according to the FWA, these changes are regulated by a different mechanisms and feelings than those associated with stability. For example, the phenomenology characterizing the process of change can sometimes (but certainly not always) be positive. When that happens, we feel engagement, curiosity, interest and sometimes awe rather than pleasure or satisfaction. The function of eudaimonic experiences is to motivate departures from the comfort zone of pleasant stability, and it operates through a feeling of being absorbed in the task of overcoming a challenge. This allows for biological, psychological and social growth processes and explains why EWB sometimes is described as being happy fulfilling your life (Vittersø, 2016b). Growth processes include certain feeling states, but are not limited to these. Just as life satisfaction reflects a trait element in HWB, there is a trait element in the EWB dimension as well. It facilitates learning and development and is referred to as personal growth. The concept is undeniably a somewhat confusing one (Vittersø & Straume, 2017), but hopefully, more research will make the idea more coherent. In the FWA, personal growth includes some objective element, like moral development. The EWB part of the Functional wellbeing approach thus comprises a combination of subjective and objective criteria, a pattern that has been called a “sobjective” perspective (MacLeod, 2015). This implies that it is not entirely up to the individual to judge whether he or she is growing as a human being. Consequently, self-reports will never be able to fully capture the concept of personal growth. Note also that the growth processes in the FWA include goals and plans for reaching these goals that appear more or less meaningful for a person, which means that the concept of purpose or meaning in life is included in this category. There are some principal similarities between the FWA and Aristotle’s conceptualization of goodness, primarily related to the idea of developing one’s potentials qua human beings. Although the FWA does not subscribe to the idea that every disposition that appears “natural” is good (e.g., Thin, 2016), it does agree with the description of EWB as “man-as-he-could-be-if-he-realized-his-essential-nature,” in contrast to the “man-as-he-happens-to-be” nature of HWB (cf. MacIntyre, 2007). The influence from Piaget. The FWA builds on Piaget (e.g., 1952, 1971). The influence comes in particular from the connection identified by Piaget between activities and feelings, and from his ideas about needs. General knowledge of biological structures and adaptation enabled Piaget to dissociate the concept of needs from the performance of certain behaviors. It is because the movements involved in an activity already are directed, Piaget pointed out (Piaget, 1952, p. 45), that they are set in motion in the first place. Needs cannot fully account for human behavior because “a need does not explain how the movement necessary for its satisfaction is directed” (Piaget, 1952, p. 44). To further grasp what Piaget had in mind when he asserted that an activity could be initiated and maintained without reference to the concept of needs, his theory on how activities are organized around a schema is important. When an organism has a structure available, Piaget reasoned, there will be “a basic tendency to exercise the structure, that is, to make it function” (Ginsburg & Opper, 1969, p. 30). The mere acting on these structures had what Piaget referred to as functional meaning, which is to say that the act has “a value for the subject himself. But whence comes this value? From functioning as such” (Piaget, 1952, p. 42). This perspective allows for activities to be reinforced by themselves. Note that Piaget also considered repetition of an acting structure as a necessity for all forms of life, and that some repetitions had functional meaning. Both Sennett’s work on craftsmanship (Sennett, 2008) and observations made by Montessori (1948) corroborate Piaget’s view on repetitive activities. A final Piagetian concept worth mentioning is the moderate novelty principle. It suggests that we feel most interested when interacting with stimuli that bears some relevance to what we already know, but at the same time is sufficiently novel to present incongruities and conflicts to the existing structures. Since these new observations do not assimilate easily, they are met with “a resistance which is imposed by the reality of the objects themselves” (Ginsburg & Opper, 1969, p. 59). The influence from Eckblad. The idea that feelings could be generated directly from an activity that has been initiated by a discrepancy between a cognitive structures and the resistance offered by the circumstances was further developed by Eckblad (1981). By analogy to the Wundt curve—which suggests that pleasure is a curvilinear function of arousal, with maximum pleasure produced at some optimal level of arousal8— she developed a multi-curve model in which distinct feelings reached their most intense expressions at increasingly higher levels of assimilation resistance. Thus, each feeling state has “a single-peaked preference function for any given complexity dimension” (Eckblad, 1981, p. 97). The idea is laid out graphically in Figure 2, illustrating for instance how pleasure typically will be experienced at low levels of assimilation resistance. Feelings of joy will kick in at somewhat higher levels, whereas the phenomenological responses to high levels of assimilation resistance are those of interest, curiosity and challenge. The assimilation resistance can also be overwhelmingly high, in which cases feelings like frustration, chaos and perhaps anxiety will be prompted. A more detailed account of these processes is provided by Eckblad (1981, Chapters 2 and 3). The influence from appraisal theories. Piaget’s theory and the additions suggested by Eckblad explains how an activity by itself can generate feelings of different qualities. This account is adopted by the FWA, into a model that also includes feelings generated according to the principles of appraisal theories of emotions (Lazarus, 1991; Oatley, 1992; Scherer, Schorr, & Johnstone, 2001; C. A. Smith & Ellsworth, 1985).9 These theories hold the view that emotions are evaluative responses to challenges or opportunities regarding goals that are important to us. As a part of the process, and approaching a novel situation, some kind of a primary appraisal will take place, which is to say that a person will check if the situation is relevant and congruent with his or her goals (Lazarus, 1991, p. 133). 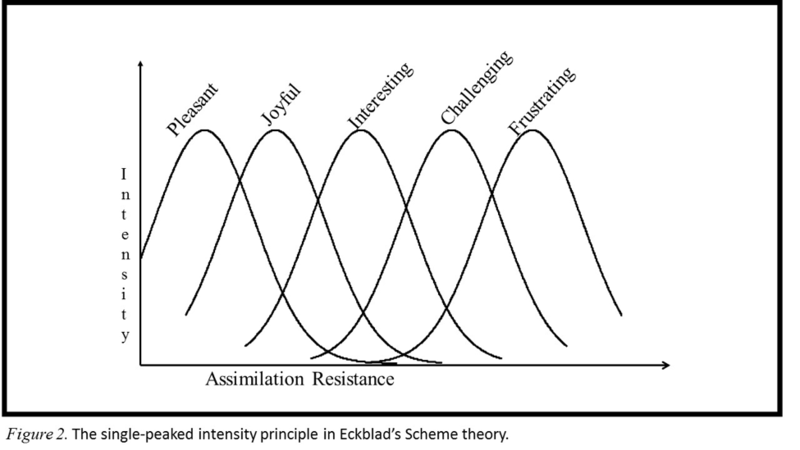 Figure 3 illustrates what Piaget and Eckblad refer to as a “totality”, which includes both the ongoing activity and the goal of that activity. The mid part of the figure reflects the ongoing activity, the “throughput” in the Input-Throughput-Output (ITO) scheme. 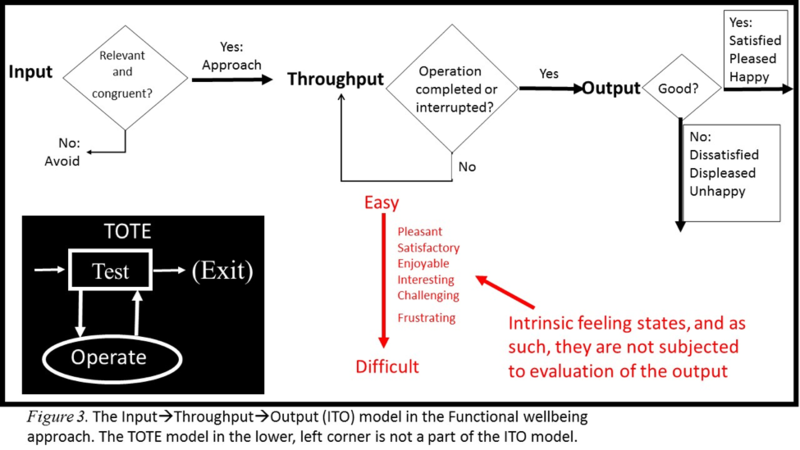 The input and output feelings involve evaluations, whereas the throughput feelings do not. They follow the principles of functional assimilation. To illustrate how this may be integrated in a totality, the classical Test-Operate-Test-Exit or TOTE scheme may be of assistance (G. A. Miller, Galanter, & Pribram, 1960). The test procedure involved in TOTE is illustrated in the black frame at the lower left part of Figure 3, and it is regulated by “some criteria established in the organism, to respond if the result of the test is to show incongruity, and to continue to respond until the incongruity vanishes, at which time the reflex is terminated.” (G. A. Miller et al., 1960, p. 26). The idea proposed by the FWA is that as long as one’s attention is focused on the operation itself (oval circle in the TOTE box) it is the feelings generated by the functional assimilation process that will be phenomenologically dominant. Intense attentions at the ongoing activity prevents rapid shifts between operation and testing to reach consciousness. Hence, the testing phase will not interfere with the focused attention unless there is a dramatic shift in progress towards, or a retreat away from, the goal of the totality. This lack of interference with the focused activity is the explanation offered for why the feelings of intrinsically motivated behavior and flow can be very intense and lasting. The effect of shutting out disrupting impulses to conscious awareness is referred to as stimulus gating (Elkind, 1971). It is also described by Goffman (1961), who used the term “semipermeable membrane” to explain the phenomenon. The present chapter has discussed strengths and weaknesses of some activity theories of wellbeing. A few possible directions for further research and theorizing are worth mentioning. Chief among these concerns is the development of better concepts. Some of the major concepts in the activity theories are somewhat outdated. Aristotle’s thinking runs thousands of years back. They are difficult to operationalize scientifically and are hardly tested empirically. Still, psychological theories on activity and wellbeing build, at least in part, on some of these ideas. And even if modern activity theories have integrated more recent science into their bodies of knowledge, they still appear slightly segregated and theoretically old-fashioned. Many of their core concepts were developed more than half a century ago. Hence, conceptual renovations, and in some cases even a theoretical restart, will probably make the approaches more complete and better able to explain the dynamics between the doing parts and the wellbeing parts of human lives. After all, scientific progress consists primarily in refining one’s concepts and departing from the outdated ones (e.g., Mayr, 1982). Economic welfarism is the approach that most urgently needs to change. Research and real life episodes have revealed how this line of though suffers from overly reductionism and surprisingly high levels of errors when making predictions (e.g., Chang, 2012; Ferguson, 2012; Jordan, 2008; Kwak, 2017; Loewenstein, Rick, & Cohen, 2008; Scitovsky, 1992; Skidelsky & Skidelsky, 2013). Using the vocabulary of Kuhn (1970), nothing less than a scientific revolution seems necessary in order to get the mainstream thinking in economic welfarism straight. Psychological theories need improvements as well. For example, the core concepts of FWA are vague. The notion of a schema has rightfully been criticized for being too broad and imprecise (e.g., Neisser, 1994) and much of the empirical evidence in Piaget’s work comes from the study of children. In the years to come, a better integration of general knowledge from cognitive and emotional sciences, including new ways of measuring on-line mental states and feeling qualities will be help strengthening the assumptions made by the FWA and move the approach forward. Another important challenge for future developments on the FWA is to integrate recent attainments in research on the social and moral nature of human beings into the cognitive-emotional framework of the theory. Self-determination theory has a successful record of assimilating new knowledge into their theoretical framework. It has been less progressive when it comes to accommodating its core concepts. The idea of an organismic nature, or being naturally inclined towards growth, is an example in case. One of the unsolved puzzles here concerns the specific meaning of a “natural inclination towards growth and integration”. Another difficult concept is that of psychological needs. At a general level, the notion makes a lot of sense. When needs are not met, we intuitively infer that something negative is about to happen. However, on a more specific footing the notion runs into trouble. For instance, each of the three needs are sweeping very broad, the criteria to have them satisfied are hard to measure with sufficient precision, and the potential conflicts between them are not properly accounted for. The Self-determination theory will gain from further clarifications of these issues. After 40 years of research, the core concepts of flow theory have hardly changed. Terms like challenges and skills and the balance between them were hard to pin down when the theory was born, and they continue to be so. As a consequence, we still don’t know when and even if flow has been validly measured. The proposal that a balance between challenges and skills prompts people to develop their skills is also controversial, and research specifically tailored to back up this idea is needed. More work is also required in order to understand what it really feels like to be in flow. Does it occur in a phenomenological vacuum, or is it filled with intense experiences? Self-reports may not be precise enough to clarify the problem, even when they are collected by the so-called “gold standard” of experience sampling methods. Thus, the development of better methodologies is an important avenue for future research. Finally, the Internal motivation theory offers important insights on how activities, wellbeing and good societies are interrelated. However, it may fall short of explaining the psychology of intrinsic motivation as classically defined. Occasionally humans act, sometimes even for substantial periods of time, without keeping the aim of that activity in mind. It seems likely that these instances are important to many people, they may even be essential for optimal functioning. These features of human lives call for a theoretical account. The idea that good living involves good acting is old. This way of thinking was, however, outmaneuvered by the philosophies of deontology and consequentialism/ utilitarianism during the Enlightenment. In the nineteenth century, utilitarianism advanced into economic welfarism, which seems to be the hegemonic wellbeing ideology among politicians and decision makers today. Welfarism defines wellbeing in terms of money and commodities, more specifically as the optimal balance between demand and supply as these are regulated on a marked. In its most radical form, welfarism argues that this equilibrium is all one needs to care about when it comes to wellbeing. As a consequence, human activities are reduced to economic activities and insights into human nature are deflated to beliefs about commodities. Against this background, the promise of activity theories is two-fold. First, by detailing how good lives by necessity include opportunities to act in accordance with certain aims and rhythms, they contribute general knowledge to the science of wellbeing. Second, by means of this knowledge, activity theories can be precise in predicting how and why wellbeing will be reduced if the doing part of our lives are ignored or reduced to economic performance. Although much work remains in order to get the details straight, activity theories are well on their way to give reliable descriptions of what states of wellbeing look like, to explain why these states are good for us, and to predict the consequences of changes in the basic structure of these states. That is not a bad accomplishment for a group of scientific theories. 2Philosophers sometime add the phrase “for the person who’s life it is” to this definition. They do this to clarify that wellbeing is a so-called prudential value—and not a moral or other kind of value (e.g., Griffin, 1986). The prudential perspective might inflict an unnecessarily individualistic constrain on the concept of wellbeing, though, since humans are such ultra-social and morally oriented animals that it is hard to conceive of human goodness as a private property. 4Elkind (1971) made a distinction between learning as the outcome of extrinsic motivation and development as the outcome of intrinsic motivation. This distinction is not used in the present text. 5Given that the position held before the movement starts is a state of balances between challenges and skills. 6Terms like cognitive or evaluative wellbeing are used more frequently than attitudinal pleasure to name this dimension of wellbeing. But evaluations involve both affective and cognitive elements of information processing, and they are also involved in many kinds of psychological processes. Some of these are very brief and state like. Hence, the term attitude is preferred in the FWA to underscore the trait like nature of overall good-bad evaluation. After all, the essential component of an attitude is an evaluation along an affective good-bad dimension (e.g., Eagly & Chaiken, 1993). 8Note that the Wundt curve is incommensurable with the affect circumplex (Russell, 1980). In Wundt’s model, pleasure depends on the level of arousal whereas the circumplex model assumes that the two are independent. Both models are consistent with the low correlation typically observed between pleasure and arousal though, because a curvilinear relation between two variable will also comprise a zero correlation. 9In Eckblad (1981, p. 34) a dichotomy akin to the one I have proposed is presented as a division between “spontaneous activity of schemes and disequilibrium proper”. Angyal, A. (1941). Foundations for a science of personality. New York: Commonwealth Fund. Badhwar, N. K. (2014). Well-being: Happiness in a worthwhile life [Kindle]. New York: Oxford University Press. Berlyne, D. E. (1960). Conflict, arousal, and curiosity. London: McGraw-Hill. Besser, L. L. (2016). Conceptual challenges for a science of eudaimonic well-being. In J. Vittersø (Ed. ), Handbook of eudaimonic well-being (pp. 85-91). Cham, Switzerland: Springer International Publishing. Bishop, M. A. (2015). The good life: Unifying the philosophy and psychology of well-being [Kindle]. New York: Oxford University Press. Boyle, J. (1987). On MacIntyre's 'After virtue' [Kindle]: The World & I Online. Bradley, B. (2015). Well-being [Kindle]. Cambridge, UK: Polity Press. Brandstätter, H. (2006). Action perspecitves on human development. In R. M. Lerner (Ed. ), Handbook of child psychology (Sixth ed., Vol. 1, pp. 516–568). Hoboken, NJ: John Wiley & Sons. Cantor, N., & Sanderson, C. A. (1999). Life task perticipation and well-being: The importance of taking part in everyday life. In D. Kahneman, E. Diener, & N. Schwarz (Eds. ), Well-being: The foundations of hedonic psychology (pp. 230–243). New York: Russell Sage Foundation. Chang, H.-J. (2012). 23 things they don't tell you about capitalism [Kindle]. London: Penguin. Ciulla, J. B. (2000). The working life: the promise and betrayal of modern work [Kindle]. New York: Times Books. Csikszentmihalyi, M. (Ed.) (2014). Flow and the foundations of positive psychology: The collected works of Mihaly Csikszentmihalyi. Dordrecht, The Netherlands: Springer. Dean, H. (2008). Imagining a eudaimonic ethic of social security. In J. Bradshaw (Ed. ), Social security, happiness and well-being (pp. 57–76). Antwerp: Intersentia. Dean, H. (2016). Eudaimonia and ‘species being’: A Marxist perspective. In J. Vittersø (Ed. ), Handbook of eudaimonic well-being (pp. 507-520). Cham, Switzerland: Springer International Publishing. Diener, E., Scollon, C. N., & Lucas, R. E. (2009). The evolving concept of subjective well-being. The multifaceted nature of happiness. In E. Diener (Ed. ), Assessing well-being. The collected works of Ed Diener (pp. 67– 100). Dordrecht, NL: Springer. Dweck, C. S. (2000). Self-theories: Their role in motivation, personality, and development. Sussex: Psychology Press. Eagly, A. H., & Chaiken, S. (1993). The psychology of attitudes. London: HBJ. Eckblad, G. (1981). Scheme theory: A conceptual framework for cognitive-motivational processes. London: Academic Press. Elkind, D. (1971). Cognitive growth cycles in mental development. Nebraska Symposium on Motivation, 19, 1-31. Emmons, R. A. (1999). The psychology of ultimate concerns, motivation and spirituality in personality. New York: Guilford. Ericsson, K. A. (1996). The acquisition of expert performance: An introduction to some of issues. In K. A. Ericsson (Ed. ), The road to excellence: The acquisition of expert performance in the arts and sciences, sports, and games (pp. 1–50). Mahwah, NJ: Lawrence Erlbaum. Ferguson, C. (2012). Inside job: The financiers who pulled off the heist of the century. Oxford, UK: Oneworld Publications. Fischer, K., W, & Bidell, T. R. (2006). Dynamic development of action and thought. In R. M. Lerner (Ed. ), Handbook of child psychology (6th ed., Vol. 1: Theoretical models of human development, pp. 313-399). New York: Wiley. Ginsburg, H., & Opper, S. (1969). Piaget's theory of intellectual development. An introduction. Englewood Cliffs, NJ. : Prentice-Hall. Goffman, E. (1961). Fun in games Encounters: Two Studies in the Sociology of Interaction (pp. 15–81). Indianapolis, IN: Bobbs-Merrill. Goldstein, K. (1939). The organism: A holistic approach to biology derived from pathological data in man. Salt Lake City, UT: American Book Publishing. Griffin, J. (1986). Well-being: Its meaning, measurement, and moral importance. Oxford, UK: Clarendon Press. Harlow, H. F. (1950). Learning and satiation of response in intrinsically motivated complex puzzle performance by monkeys. Journal of Comparative and Physiological Psychology, 43, 289–294. Hausman, D., McPherson, M., & Satz, D. (2016). Economic analysis, moral philosophy, and public policy [Kindle]. Cambridge, UK: Cambridge University Press. Haybron, D. (2017). The Philosophy of Subjective Well-Being. Paper presented at the The Future of Well-Being Research Summit, Salt Lake City, UT. Hill, N. M., & Schneider, W. (2006). Brain changes in the development of expertise: Neuroanatomical and neurophysiological evidence about skill-based adaptations. In K. A. Ericsson, N. Charness, P. J. Feltovich, & R. R. Hoffman (Eds. ), The Cambridge handbook of expertise and expert performance (pp. 653–682). New York: Cambridge University Press. Hurka, T. (2011). The best things in life. A guide to what reallt matters [Kindle]. Oxford, UK: Oxford University Press. Jordan, B. (2008). Welfare and well-being: Social value in public policy [Kindle]: Policy Press. Katz, L. (2009). Pleasure. In E. N. Zalta (Ed. ), The Stanford encyclopedia of philosophy (Fall 2009 ed. ): Available from: http://plato.stanford.edu/archives/fall2009/entries/pleasure. Koch, S. (1956). Behavior as "intrinsically" regulated: Work notes towards a pre-theory of phenomena called "motivational". In M. R. Jones (Ed. ), Nebraska symposium on motivation (pp. 42–86). Lincoln: University of Nebraska Press. Korsgaard, C. M. (2008). The constitution of agency: Essays on practical reason and moral psychology. Oxford: Oxford University Press. Kuhn, T. S. (1970). The structure of scientific revolutions. Chicago: The University of Chicago Press. Kwak, J. (2017). Economism: Bad economics and the rise of inequality [Kindle]. New York: Pantheon. Little, B. R. (2016). Well-doing: Personal projects and the social ecology of flourishing. In J. Vittersø (Ed. ), Handbook of eudaimonic well-being (pp. 297-305). Cham, Switzerland: Springer International Publishing. Loevinger, J. (1976). Ego development. London: Jossey–Bass. MacIntyre, A. (2007). After virtue [Kindle] (Third ed.). Notre Dame, IN: University of Notre Dame Press. Mayr, E. (1982). The growth of biological thought: Diversity, evolution, and inheritance. Cambridge: Harvard University Press. McMahon, D. (2006). The pursuit of happiness: A history from the Greeks to the present. London: Allen Lane. Miller, G. A., Galanter, E., & Pribram, K. H. (1960). Plans and the structure of behavior. New York: Holt. Miller, R. (1992). Marx and Aristotle: A kind of consequentialism. In G. E. McCarthy (Ed. ), Marx and Aristotle: Nineteenth century German social theory and classical antiquity (pp. 275-302). Annapolis , MD: Rowman & Littlefield. Montessori, M. (1948). The discovery of the child. Kalakshetra: Madras. Oatley, K. (1992). Best laid schemes. The psychology of emotions. Cambridge: Cambridge University Press. Pross, A. (2016). What is life? : How chemistry becomes biology: Oxford University Press. Rathunde, K., & Csikszentmihalyi, M. (2006). The developing person: An experiential perspective. In R. M. Lerner (Ed. ), Handbook of child psychology (6th ed., Vol. 1: Theoretical models of human development, pp. 465- 515). New York: Wiley. Renninger, K. A., & Hidi, S. (2016). The power of interest for motivation and engagement [Kindle]. London: Routledge. Rogers, C. R. (1963). Actualizing tendency in relation to "Motives" and to consciousness. In M. R. Jones (Ed. ), Nebraska Symposium on Motivation (Vol. 11, pp. 1–24). Oxford, England: U. Nebraska Press. Ryan, R. M. (Ed.) (2012). The Oxford handbook of human motivaion. Oxford, UK: Oxford University Press. Ryan, R. M., Curren, R. R., & Deci, E. L. (2013). What humans need: Flourishing in Aristotelian philosophy and self-determination theory. In A.S. Waterman (Ed. ), The best within us: Positive psychology perspectives on eudaimonia (pp. 57-75). Washington, DC, US: American Psychological Association. Ryan, R. M., & Deci, E. L. (2008). Self-determination theory and the role of basic psychological needs in personality and the organization of behavior. In O. P. John, R. W. Robins, & L. A. Pervin (Eds. ), Handbook of personality. Theory and research (Third ed., pp. 654–678). New York: The Guilford Press. Ryan, R. M., & Deci, E. L. (2017). Self-determination theory: Basic psychological needs in motivation, development, and wellness [Kindle]. New York: Guilford Publications. Ryan, R. M., & Martela, F. (2016). Eudaimonia as a way of living: Connecting Aristotle with Self-determination theory. In J. Vittersø (Ed. ), Handbook of Eudaimonic Well-Being (pp. 109-122). Cham, Switzerland: Springer International Publishing. Sansone, C., & Harackiewicz, J. M. (1996). "I don't feel like it": The function of interest in self-regulation. In L. L. Martin & A. Tesser (Eds. ), Striving and feeling: Interactions among goals, affect, and self-regulation (pp. 203–228). Mahwah, NJ: Lawrence Erlbaum. Scherer, K. R., Schorr, A., & Johnstone, T. (Eds.). (2001). Appraisal processes in emotion: Theory, methods, research. Oxford, UK: Oxford University Press. Schwartz, B. (2015). Why we work [Kindle]: Simon and Schuster. Schwartz, B., & Wrzesniewski, A. (2016). Internal motivation, instrumental motivation, and eudaimonia. In J. Vittersø (Ed. ), Handbook of eudaimonic well-being (pp. 123-134). Cham, Switzerland: Springer International Publishing. Scitovsky, T. (1992). The joyless economy (Revised Edition ed.). New York: Oxford University Press. Sennett, R. (2008). The craftsman. New York: Pinguin Books. Skidelsky, R., & Skidelsky, E. (2013). How much is enough: The love of money and the case for the good life [Kindle] (2 ed.). New York: Penguin Books. Smith, A. (1776/1976). An inquiry into the nature and causes of the wealth of nations. Oxford: Oxford University Press. Sumner, L. W. (1996). Welfare, happiness, and ethics. Oxford, UK: Clarendon Press. Thin, N. (2012). Social happiness. Theory into policy and practice. Bristol, UK: The Policy Press. Thin, N. (2016). Social planning without Bentham or Aristotle: Towards dignified and socially engaged well-being. In J. Vittersø (Ed. ), Handbook of eudaimonic well-being (pp. 543-561). Cham, Switzerland: Springer International Publishing. Vittersø, J. (2013a). 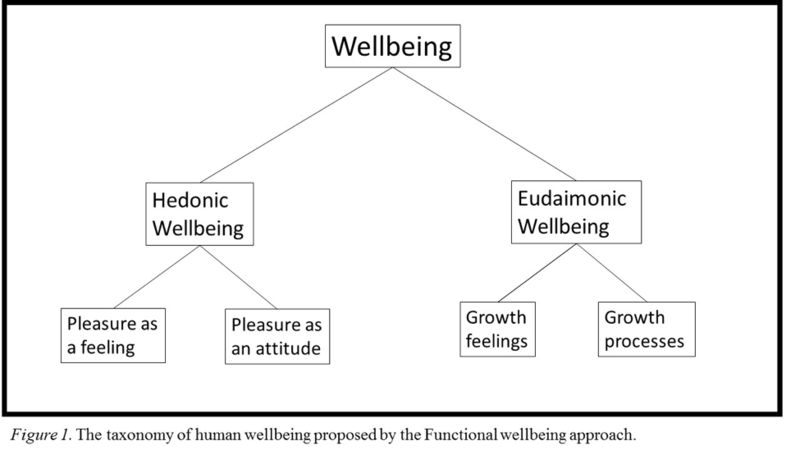 Feelings, meanings, and optimal functioning: Some distinctions between hedonic and eudaimonic well-being The best within us: Positive psychology perspectives on eudaimonia (pp. 39-55). Washington, DC, US: American Psychological Association. Vittersø, J. (2013b). Functional well-being: Happiness as feelings, evaluations and functioning. In S. David, I. Boniwell, & A. C. Ayers (Eds. ), The Oxford handbook of happiness (pp. 227–244). Oxford, UK: Oxford University Press. Vittersø, J. (2016a). The feeling of excellent functioning: Hedonic and eudaimonic emotions. In J. Vittersø (Ed. ), Handbook of eudaimonic well-being (pp. 253-276). Cham, Switzerland: Springer International Publishing. Vittersø, J. (2016b). The most important idea in the world: An introduction. In J. Vittersø (Ed. ), Handbook of eudaimonic well-being (pp. 1-24). Cham, Switzerland: Springer International Publishing. Vittersø, J., & Straume, L. V. (2017). Personal growth. In V. Zeigler-Hill & T. K. Shackelford (Eds. ), Encyclopedia of Personality and Individual Differences (pp. 1-6). Cham: Springer International Publishing. von Bertalanffy, L. (1952/2014). Problems of life. An evaluation of modern biological and scientific thought. Mansfield Centre, CT: Martino Publishing. (Original work published in 1952). Whitehouse, H. (2004). Modes of religiosity. A cognitive theory of religious transformation. London: Altamira Press. Whiting, J. (1988). Aristotle's function argument: A defense. Ancient Philosophy, 8(1), 33-48. Winkielman, P., Schwarz, N., Fazendeiro, T. A., & Reber, R. (2003). The hedonic marking of processing fluency: Implications for evaluative judgment. In J. Musch & K. C. Klauer (Eds. ), The psychology of evaluation. Affective processes in cognition and emotion (pp. 189–217). Mahwah, NJ: Lawrence Erlbaum.